Public markets provide affordable food access, economic strength, public safety, and community cohesion. Hollins market is a public market located in Southwest Baltimore. It was established in 1836, is the oldest remaining market building in the city. Once, the market and the surrounding blocks hosted more than 300 stalls. Now, it is home for 11 vendors. Problem: Hollins market is not thriving. Disconnection and mis-communication between market management, merchants and customers. Research and analysis: case study, ethnographic research, interview, survey, five whys chart, personas. Key observation and Insight: To capture what I’ve learned from the research and sum up the analysis, I synthesized insights into three themes: miscommunication, differing expectations, and lack of interaction. 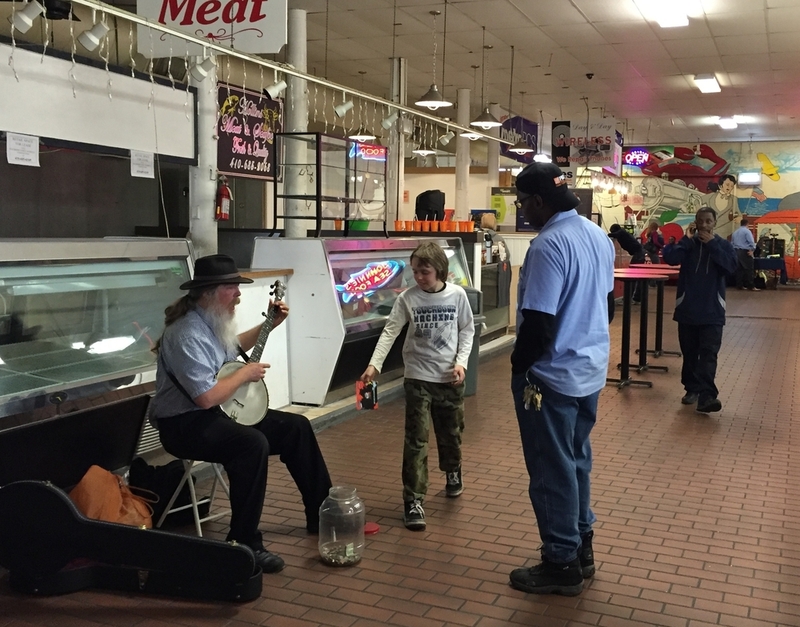 How might we incentivize Southwest Baltimore residents to patronize Hollins market? People from inside and outside the market care about similar issues such as safety and commercial development and yet there is no platform to aggregate people’s energy. With help from Southwest Partnership, I facilitated a participatory community workshop with 23 participants from six different neighborhoods. There were three sessions. 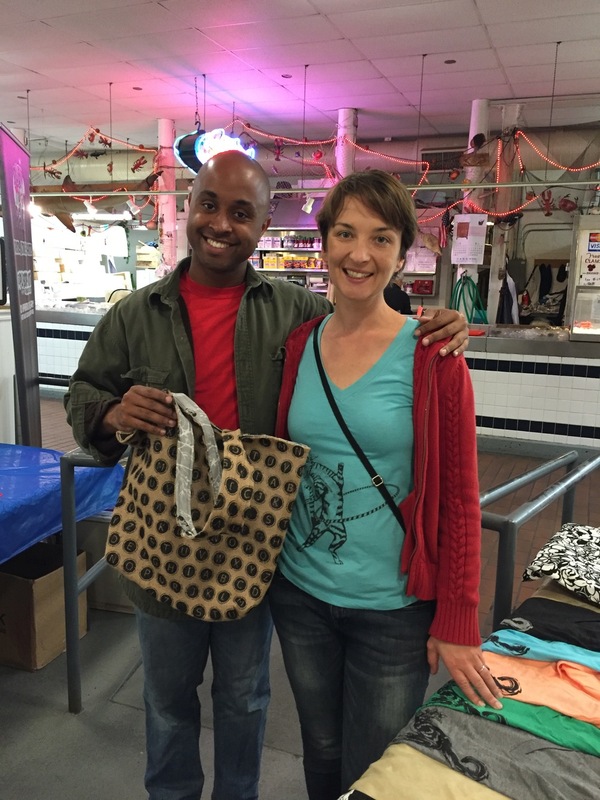 First, I brought people to Hollins market in hopes of creating a more personal shopping experience. Each person was assigned a positive attribute such as love, tradition or family and were then encouraged to purchase something that represented that attribute. In the second session, we listed out community assets and brainstormed on how to improve the market. Then, in the third session, we shared our findings with the market manager and the merchant association president. Through the workshop, participants generated lots of great ideas. Subsequently, the market management, Hollins Roundhouse Neighborhood Association, and I organized a pop-up shop event in Hollins Market to test them out. With the go-ahead from the management and the help from the neighborhood, we were able to set up a kids’ drawing table and invite musicians, artists, and new businesses to come perform and sell their products. As the result, the event encouraged the market’s workers to interact with the neighborhood. Also, it created an opportunity for non-regular shoppers to come and explore Hollins Market. This event served as a prototype for both social engagement and new business opportunities. My project report helps lay the groundwork for the new market development to take a community collaboration approach.